Tiger’s Eye Golf Links is one of the “BIG CATS” courses located in Ocean Isle, N.C. This wonderful Tim Cate design is an award winning Myrtle Beach golf course that has been a favorite since its inception in 2000. Tiger’s Eye winds through dense forests of towering Carolina pines and dense hardwoods that give the course a Lowcountry feel. As you navigate your way through the lush fairways that lead to large, undulating G2 Bent grass greens, that can be quite challenging. Accuracy off the tee and well placed second shots are a premium on this course. The many lakes and bunkers must be avoided. Large coquina boulders were used to create bulkheads around the course. The course is challenging, but very playable for all golfers. The course measures 7,010 from the championship tees, 6,628 from the blues, 6,115 from the whites, 5,328 from the golds and 4,640 from the red tees. Located just a short drive from North Myrtle Beach makes Tiger’s Eye very convenient. 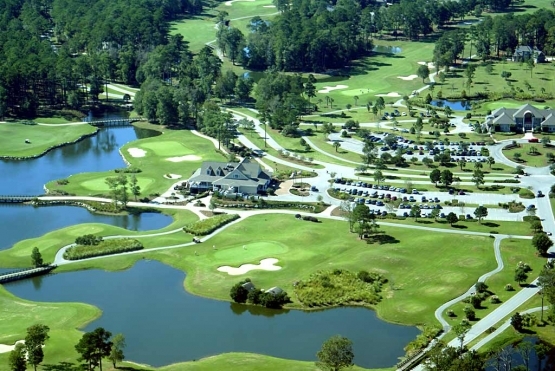 A Myrtle Beach Golf Authority golf package is the best way to get the very best in Myrtle Beach golf deals. The wide variety of North Myrtle Beach and Myrtle Beach accommodations offered by Myrtle Beach Golf Authority include North Myrtle Beach condos and ocean front beach houses as well as Myrtle Beach hotels. The North Myrtle Beach entertainment venues are world class and there is something for everyone. Barefoot Landing is the perfect place to enjoy North Myrtle Beach shopping as well as North Myrtle Beach dining. The beautiful Myrtle Beach weather, fairways and greens are just waiting to see you on your next Myrtle Beach golf package. Book yours today!